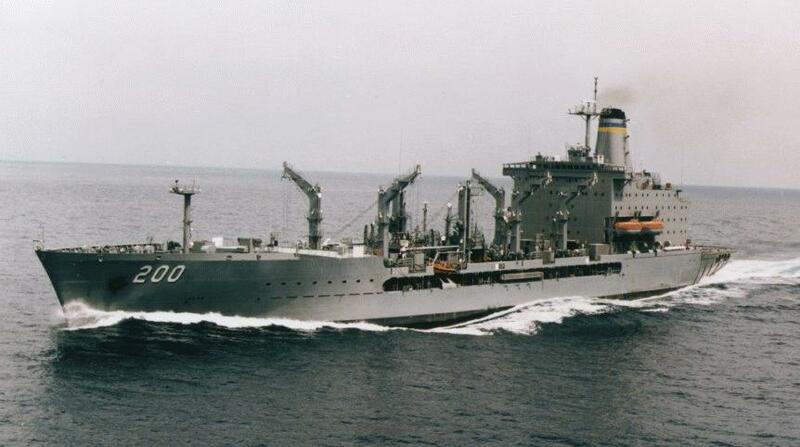 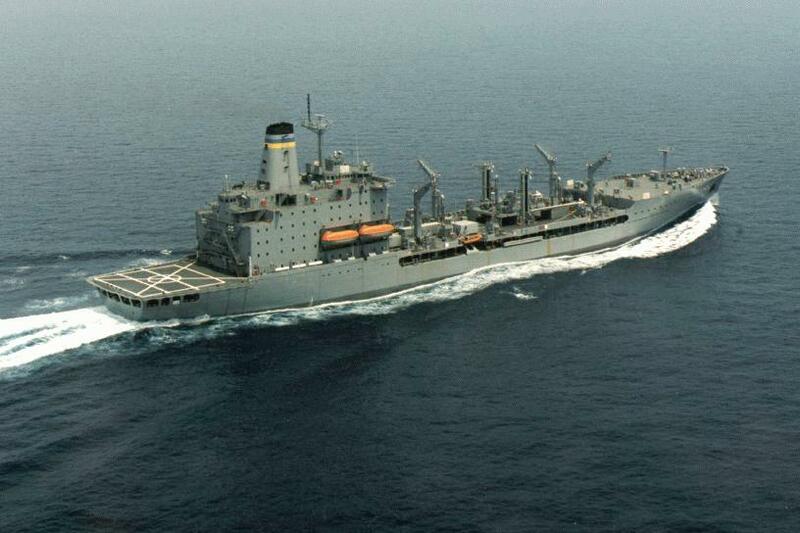 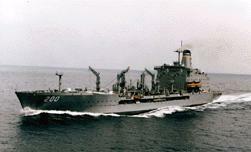 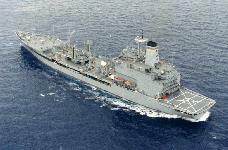 The Henry J. Kaiser (T-AO 187), the first of an 18-ship series of new oilers, was delivered in September 1986. 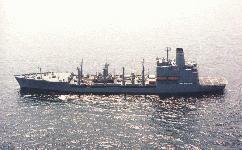 Three of the Kaiser class were delivered in 1987 and one was delivered in 1988. 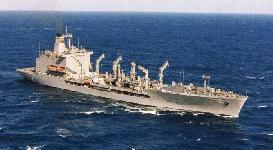 When they joined the fleet, Kaiser-class ships permited the retirement of oilers of the 1940s (Mispillion class) and 1950s (Neosho class). 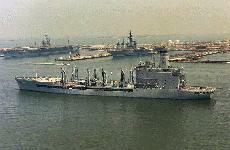 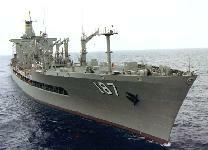 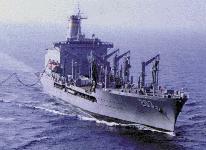 The ships were built for the Military Sealift Command (MSC). 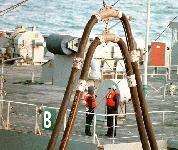 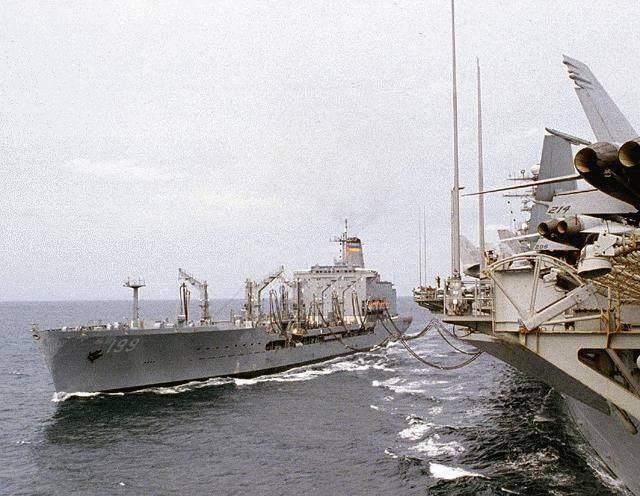 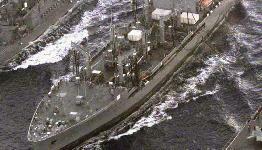 There are stations on both sides of each ship for underway replenishment of fuel and stores. 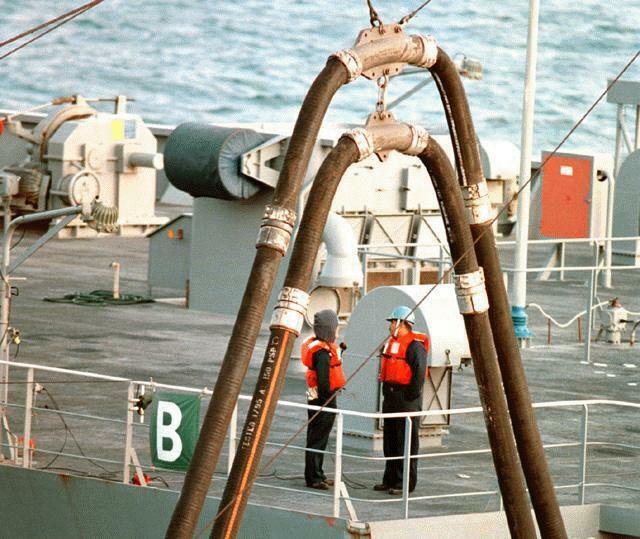 Equipped with 5 fueling stations, they can replenish two ships at a time pumping up to 900,000 gallons of diesel fuel and 540,000 gallons of jet fuel per hour. 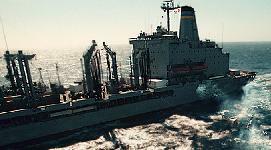 These ships have a capacity for small quantities of fresh and frozen provisions, stores, and other materials which will permit full replenishment of some of their customers. 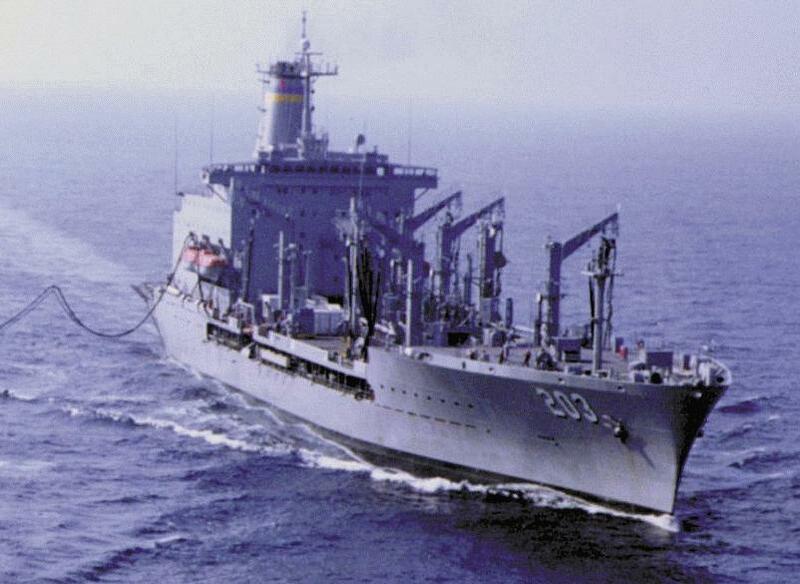 With a dry cargo carrying capacity of 7,400 square feet and refrigerated deck vans that can hold up to 128 pallets of chilled food, they can deliver fleet cargo, mail, and provisions via CONREP (connected replenishment) from two dry cargo rigs or via VERTREP (vertical replenishment) on the helo deck. Three of the newest MSC underway replenishment oilers have double hulls, designed to meet OPA 90 (Oil Protection Act 1990) requirements. . Fitted with integrated electrical auxiliary propulsion, the delivery of USNS Patuxent (T-ATF 201), USNS Rappahannock (T-ATF 204) and USNS Laramie (T-ATF 203) was delayed by the decision to fit double hulls to meet the requirements of the Oil Pollution Act of 1990. 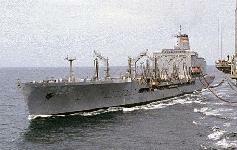 This modification increased construction time from 32 to 42 months and reduced cargo capacity by 17 percent, although this can be restored in an emergency. 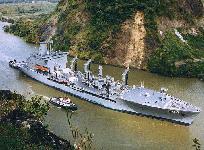 Hull separation is 1.83 m at the sides and 1.98 m on the bottom. 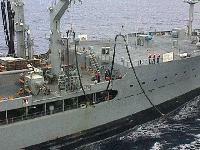 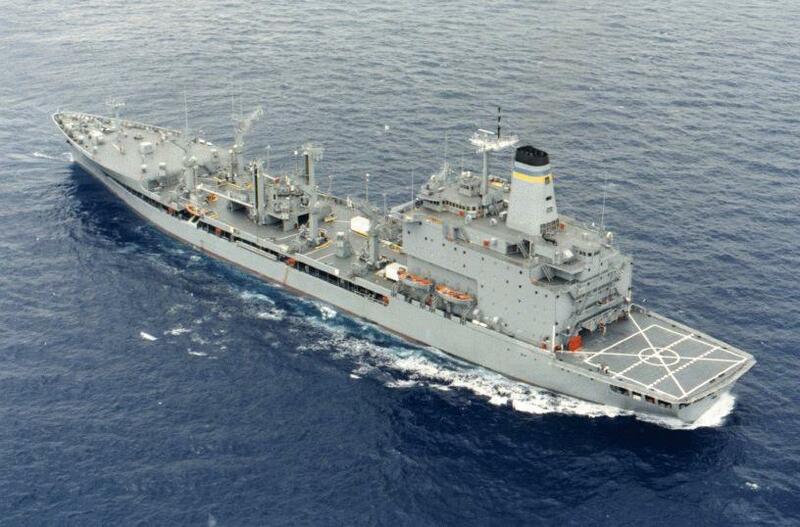 USNS Henry J. Kaiser (T-AO 187) has become part of the MSC Prepositioning Program at Diego Garcia, carrying aviation fuel. 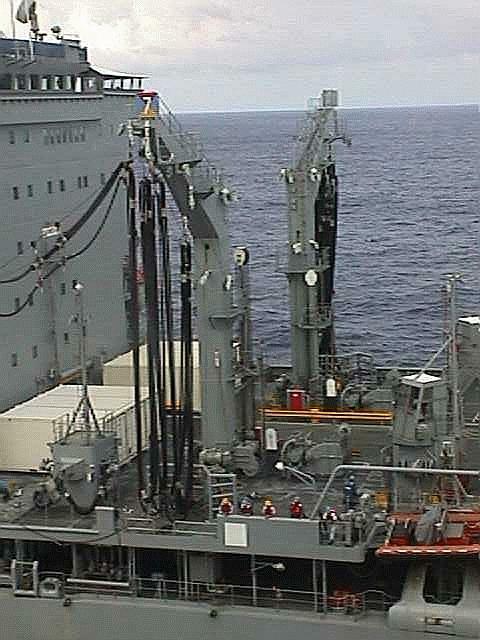 Thirteen of these underway replenishment oilers are currently operated by Military Sealift Command and provide underway replenishment of fuel to US Navy ships at sea and jet fuel for aircraft assigned to aircraft carriers. Although T-AO 189 John Lenthall was retired on 11 Nov 1996, the ship was placed back in service with the Military Sealift Command (MSC) Naval Fleet Auxuliary Force Homeport on 07 December 1998. Naval Sea Systems Command (NAVSEA) originally awarded the construction contract for T-AO 191 and T-AO 192 to Pennsylvania Shipbuilding Company (PennShip), but the contract was terminated for default. 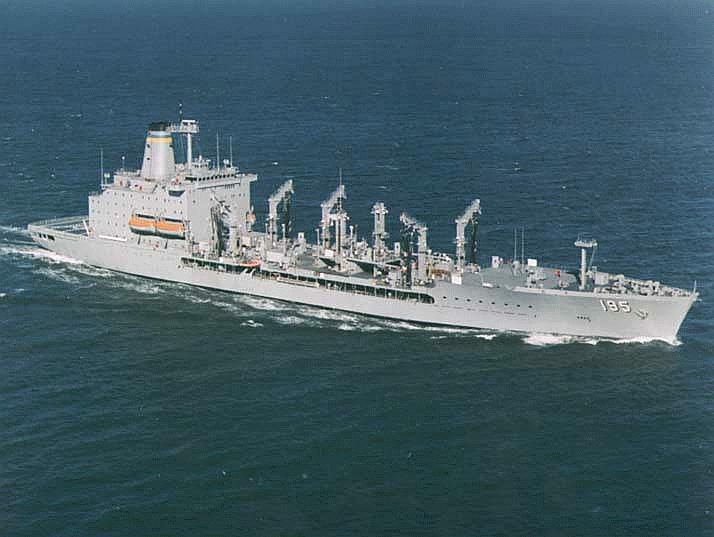 NAVSEA awarded Tampa Shipyards Inc. (Tampa), a wholly owned subsidiary of the American Shipbuilding Company (AMSHIP), letter contract N00024-90-C-2300 on November 16, 1989, for the completion of T-AO 191 and T-AO 192. 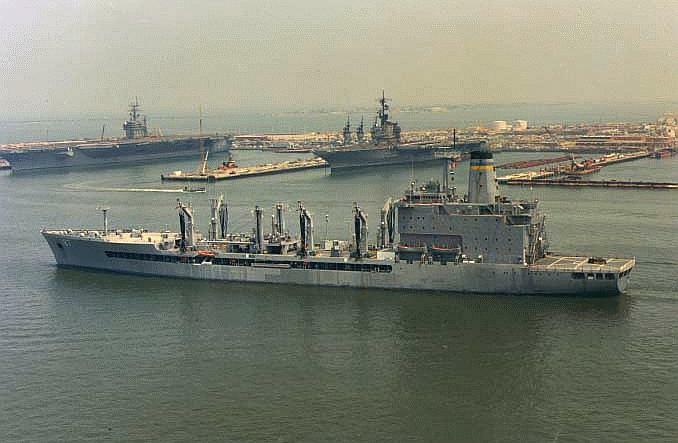 During performance of the contract, Tampa and NAVSEA had differing interpretations over responsibility for correction of defects or deficiencies for work performed by PennShip and concerning the amount of material necessary to complete the ships. 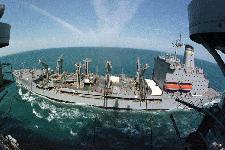 Tampa experienced significant financial and performance problems which resulted in Tampa's failure to make progress to meet the T-AO 191 contract delivery date of May 29, 1992. 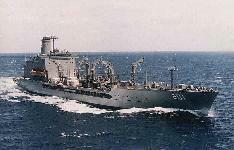 The contract delivery dates for the two ships were extended to January 31, 1993, for T-AO 191 and September 30, 1993, for T-AO 192. 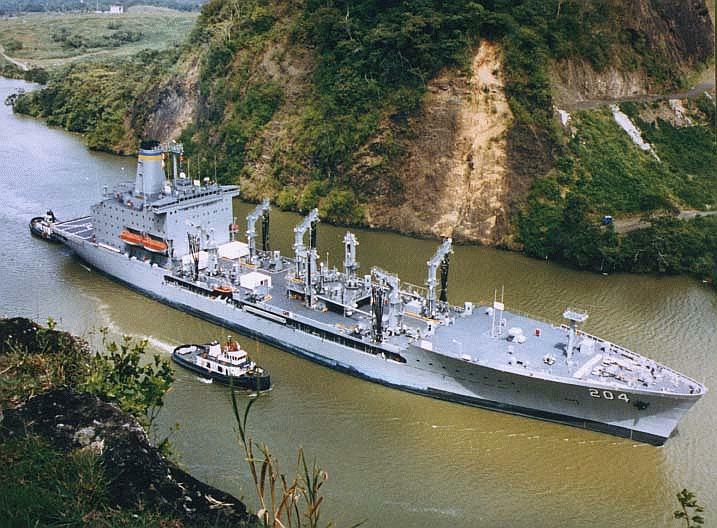 Mr. George M. Steinbrenner, the former Chairman of the Board of AMSHIP, the current chairman of the AMSHIP Executive Committee and principal stockholder of AMSHIP, commissioned a study by Paul Maglicocchetti Associates (PMA) of selected Tampa activities. 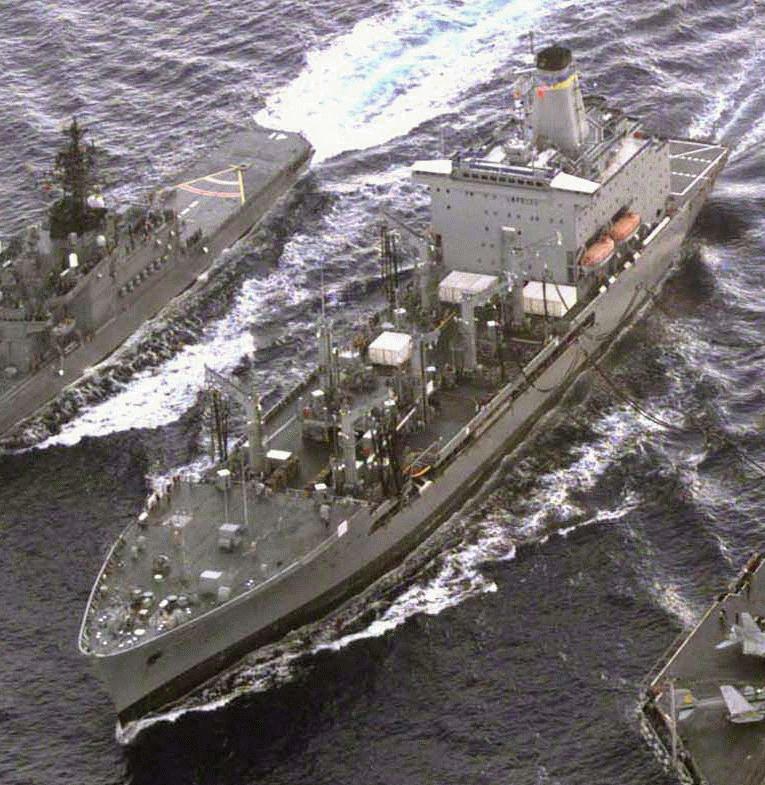 The study by PMA on Tampa's behalf indicated that Tampa had failed to adequately staff and organize the company to perform new construction work despite representations made to the Navy prior to T-AO contract award. 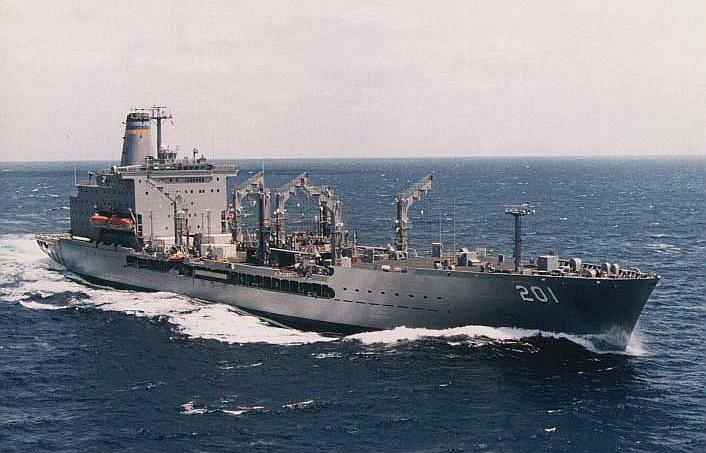 NAVSEA's analysis indicated that transferring the ships to another facility would not add unacceptable cost or schedule delays, and that Tampa's continued performance of the T-AO 191 and T-AO 192 contract was not essential to the national defense. 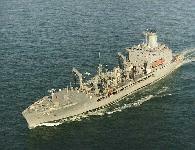 Builder Avondale Shipyards, Inc., New Orleans, La. 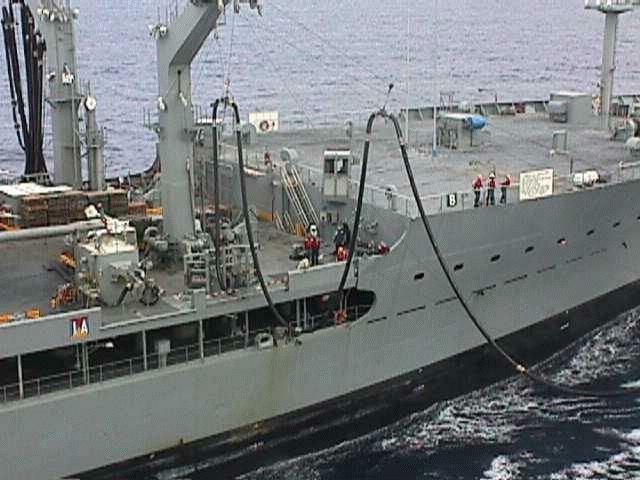 Tippecanoe works hard behind the scenes supporting Desert Fox forces Military Sealift Command Newsrelease 23 Feb 1999 -- From the early beginnings of Operation Desert Fox on Dec. 16, the crew of the U.S. Navy Military Sealift Command replenishment oiler USNS Tippecanoe (T-AO 199) worked tirelessly around the clock providing fuel to keep U.S. and British forces operational. Kaiser the oiler: Saving money for the Navy's Tandem Thrust Military Sealift Command Newsrelease 04 Mar 1997 -- Kaiser's mission was changed from an underway replenishment oiler to a tanker with limited replenishment capabilities in January 1995, when she joined Military Sealift Command's Maritime Prepositioning Ships Squadron Two located off Diego Garcia. 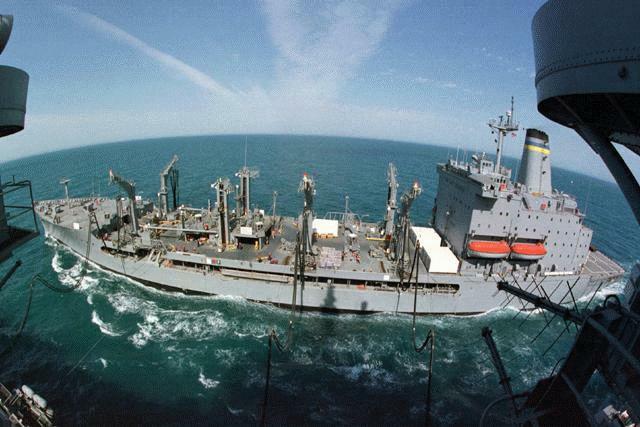 Pecos heads home Military Sealift Command Newsrelease 08 Dec 1997 -- After more than six years of supporting U.S. Navy ships in the Western Pacific region, Military Sealift Command's fleet oiler USNS Pecos is heading home to the United States. Without missing a step, MSC fleet oiler USNS Walter S. Diehl arrived in the region to take Pecos' place on Nov. 30.